Gunner in "Lost Patrol" . . .
A Search for George Devlin's Picture! December 5th, 2000 was the 55th Anniversary of the Lost Patrol. A young man named George Devlin, was on that flight. There has been much speculation about what happened to those 5 Avengers. Many articles and documentaries have been written about it. George Devlin was my gunner in the Pacific. After the war I was assigned to Corpus Christi and George went to Fort Lauderdale. There is a new museum/historical association at Fort Lauderdale which honors the men that were lost in Flight 19 and the men that trained there. One thing they are missing is a photo of George Devlin. It seems the Navy lost his picture and too many years have gone by to contact his family. I have made getting a photo of Devlin my mission. I have sent letters to 20 George and Eugene Devlin looking for relatives. George's father was George F. Devlin of Jefferson Ave., Brooklyn, NY. Anyone that knows someone in the family please relay this message. Contact me or the NAS Fort Lauderdale Historical Association. William, looks like a good cause. Maybe we will get some response. We have had some interest before about Flight 19. Perhaps you read the stories on at Site 4, The Remaining Places and Site 7 Searches. In the story about the Lost Patrol, I mention Ft. Lauderdale Historic Society and your The Naval Air Station Fort Lauderdale Historic Association. Hopefully we will find some more info. Note to readers: If you know where to get these, please contact the editor. Click here or on the link at the bottom of the page! I may be able to help you. My grandfather is William Devlin, who is George's brother. Editor's note: The picture is now in the hands of Lt. Smith, the Ft. Lauderdale Historic Society, and The Naval Air Station Fort Lauderdale Historic Association. Lt. Smith has also been contacted by an English production company that is doing a documentary on the Bermuda Triangle. I'll pass the word on to our English readers at www.kilroywashere.org.uk when I find out when it will be aired.. They will interview Bill as a TBM pilot. Also Gian Quasar, the young man that has had his documentary on the History Channel is interested in Devlin's photo. Gotta have the bug deflector . . .
deflector things shown in your "Legends/Sightings" site? We must keep the legend going. I have seen them before, numerous times actually. I had thought that it might be something produced and sold retail. Any idea where I can find a "Kilroy was here" to go on a bug screen on a car? I've seen them, but can't find one to buy. John and Judy, I want one too! I assumed the one shown was a one-of-a-kind. Hope we can find some place to order them. Writing a book about . . . I am Jerome Gutierrez, native of Zamboanga City, Philippines, now residing here in Germany. 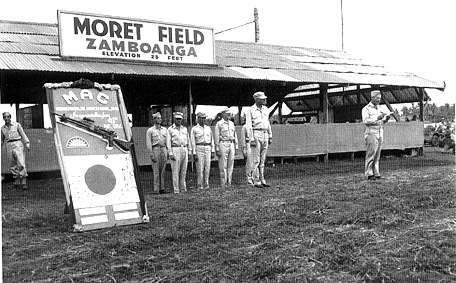 It has been and still is, my passion to chronicle Zamboanga´s World War 2 years. It would be a pleasure and honor to hear from veterans of the 41st Infantry Division, the division that liberated the city. I hope I can get in touch with any member of Marine Air Groups 12, 14 and 24, who did ground support missions. I understand there were other supporting units involved. Of particular interest are the units who improved on Moret airfield. I have had many conversations with the folks in Zamboanga who were old enough to witness the war and liberation. Their memories of the liberating "Joes" are something they treasure and fondly narrate to the younger generations. I know that because one of my best childhood memories were spending afternoons with my uncle and grandfather, hearing them once relive tales of hope, valor and freedom. To the veterans we forever stand grateful. I am attaching a photo taken sometime in March or later, 1945. Photo courtesy of James "Rip" Collins, a PBJ (Navy B-25) radioman who was there and loved to eating fried bananas. Jerome, I hope you are right because I would like more information too! Note to readers: If you were there or know anyone who was at Zamboaga, please contact the editor. Click here or on the link at the bottom of the page! A 55 year old thank you! Dennis was a gunner on a Navy troop ship. The ship was transporting us from England to Normandy just prior to the D-Day. He probably saved my life. I only know that he shot down a German torpedo plane that was attempting to torpedo us. It happened in the middle of the night. We heard a loud explosion. By the time I heard that he shot the plane down, we were so busy that I did not see him again.. Prior to that episode, during the day, we hit a mine cable that exploded about 50 to 100 yards off the starboard side. Fortunately, no damage was done but I was only too happy to leave the ship. By the time we landed at Normandy, we had been sitting broadside to shore waiting to climb down a rope ladder into a landing craft. German 88's were firing over us and I just wanted to get on shore since I could not swim. We made two attempted landings with 88's firing over the landing craft before finally landing at Utah Beach. Part of our outfit landed at Utah and part at Omaha. I was in a graves registration company (607th). Our job was to pick up the dead and bury them in temporary cemeteries on the two beachheads. I had met Dennis while on board. He was 18 or 19 at the time, as was I. I casually met him a few days before and he invited me to the ship's galley for lunch. He was from Ohio, I believe Cincinnati. Richard Blake is his name. I would like to locate him. Note to readers: If you know anything about Richard, please contact the editor. Click here or on the link at the bottom of the page! I sent a letter to Kilroy some time ago and after all this time finally discovered that the person I was looking for DENNIS REED. He was from Cinn. Ohio. One of you guys must have painted Kilroy on a ship! Do you have any pictures of ships with Kilroy Was Here painted on them? We are getting ready to do the cover work for the our new CD and was wondering if you know of any pictures that might be public domain. If you can come up with any foggy port pictures, that would be great. Note from the editor: Larry is the lead singer in the Irish-American band Black 47 who sent the sightingof Kilroy in Ireland. Note to readers: If you know of a picture like this, please contact the editor. Click here or on the link at the bottom of the page! Do you know Don J. Gilliland? Hello I'm looking for information or photos (class photo or photo album) on a Pilot trained at Hendricks Field at Sebring, Florida from March to June 1942. His name was Don J. Gilliland. Can you help or point me in the right direction? He lived in our Community and we recently honored him with a big frame in our dance hall, it is over 4' x 5'. Full of pictures, medals, information, patriotic saying, and pictures of him (tough to get). There was good local press coverage on the event too. I received a journal from another pilot who served with him and were best friends, it reads like a novel and he wants my help publishing it. So I'm still looking for information on him. As far as relatives are concerned the government is still looking. Some say he was married before going overseas and had a son prior to his being killed. Others say he was never married, memories are slipping at 57 years ago and everyone at 76+ age. That's why I want to get it right to honor these airmen before they are all gone! and we will be guessing history like the Civil War. Note to readers: If you know anything about Don J. Gilliland, please contact the editor. Click here or on the link at the bottom of the page! Do you know Cpl. Bell.? I'm trying to hunt up some information on my dad, I know this is a way long shot, but I have to try. I have reason to believe that my dad (and my uncle) were in the 124th. He entered into active service in Feb 1941 at Camp Blanding and may have been transferred out in early 1944. My dad's name was Clifford Bell (my uncles name is Reid Bell, I know he made it all the way to New Guinea, Morotai and Mindanao). I also know my dad ended up in Germany and was discharged from the 604th Engineers Combat Bn., he was a Cpl. at the time, his MOS was Camouflage Technician 804. He was qualified as SS BAR in June 1943 and SS RIFLE in January 1044. He departed for overseas in February 1943. I believe at that time he was heading for Germany. His date of entry into service is February 1941 and was discharged in October 1945. So what this has to do with 124th? I'm not sure. Why I think he at one time was in the 124th is this: my Uncle Reid Bell, says that my dad served with him in the 124th There is also his picture in a year book of the 124th Infantry. My uncle was later transferred to the 155th, but he (my uncle) was in one of the Battalions on the 124th during the Driniumor river Battle in New Guinea. Anyway my uncle's memory and a picture in a year book is not conclusive evidence, but it does raise a mystery to me. I know it's been a long time and there were a lot of men in that unit, but I came across this on the internet, so I thought I would ask. Note to readers: If you know anything about Corporal Bell, please contact the editor. Click here or on the link at the bottom of the page! It's obvious that Lance's Dad, Clifford Bell was with the 124th Infantry Regiment in Fort Benning as we have his photo with Hq Co 2nd Bn. The 124th was at Fort Benning from January 1942 until the Fall of 1943. While we (124th) were at Fort Benning many guys were shipped out to form other Infantry Regiments. It's possible that your Dad was shipped out on one of these cadres. If not then he went to Fort Jackson, South Carolina along with the rest of us in the 124th. There were now very few of us left who had been with the 124th in Camp Blanding as replacements were sent in as the old hands were sent out when forming new Regiments. At Fort Jackson the Regiment was deactivated and men were shipped to various units. I was sent back to the 31st Infantry "Dixie" Division Service Company 154th Infantry Regiment. This was later redesignated the 124th and we were in combat in New Guinea, Morotai and Mindanao. If your Uncle Reid Bell was in New Guinea with us then he probably followed along the lines that I did. If Reid Bell is still living or any of his heirs then refer them to the website www.kilroywashere.org and to my narrative which recounts the 124th Infantry all the way from Camp Blanding and back to Camp Blanding. If anyone wishes to contact me then I would be happy to relate whatever knowledge I have of the 124th. M/Sgt Tillery's Pictures and info. Note to readers: If you want to contact Paul, click here or on the link at the bottom of the page. I will forward to him. I've been pondering the question of Clfford Bell. The name means nothing to me. From his letter, the two brothers were at Camp Blanding not long after the National Guards's were federalized in Nov. However I do know that none of the 31st Div. men ever went to Europe unless they transferred to another unit. The 31st spent a good bit of time in 42-43 as cadre at Fort Benning,GA. While there many, many opted to transfer into just about every branch of service, many went to OCS. The three Divisions of the 31st were remanned with replacements and ended up with every part of the country represented. I think Mr. Bell transferred. His brother was in the 124th and did the South Pacific with them. Only the 124th went to fight on the Driniumor River. The other two Div's. went to other areas. They were regrouped in Sept. 44 and landed on Morotai, then to the PI's in April of 45. The 155th was one of the three 31st Divs. and he could have transferred into it. I would suggest to the writer to contact St. Louis and ask for his fathers records or research his dad's ETO unit. I know this isn't much but its a sure bet Bell got out of the 31st and 124th early on. President of the 124th Inf. Regt'l. Assoc. The amtrac "Lulu Bell, B-23,"
My dad, Corporal Thomas (Tom, Tommy) Iradi was with the 773rd Amphibious Tractor Battalion, and took the Marines to the beach on Saipan, Tinian, Okinawa, etc. He was on the second wave to hit Yellow Beach 20 minutes after zero hour on the initial invasion of Saipan. Later, he was the first amtrac to reach the Marines after/during the Banzai attack on 7 July. His tractor, named "Lulu Bell, B-23," alone brought about 15 Marines to safety. His outfit secured Tokashiki Shima just south of Okinawa where he tripped a booby trapped "suicide" boat. He lost his mustache, his helmet and his eyebrows! Minutes later the depth charges around the boat lit off and sent timbers thousands of feet in all directions! He was also in the Philippine campaign and the invasion of Okinawa. Also part of the occupation forces only weeks after the war ended. It was interesting readng Col. Gertz's account of the chimney/tower spotter. My dad has relayed the very same story. If I'm not mistaken, he was on the same beach at the same time. I would love to get those two together on the phone sometime. Wouldn't THAT be something! When we were last in Saipan he told us of how he lay down on the beach picking through the pieces of shells as the mortars landed around him. ""What else could I do . . . My face was in the sand . . . so I picked through the shells," he said! . . . Amazing! We found the beach where he landed. In fact it's now the site of the Pacific Island Club, a sort of Club Med arrangement where we stayed when we were there last. And where I think we will be staying in November. Interesting note . . . When they were building the club a backhoe or bulldozer hit a mortar round or something that sailed across the road and blew up with no apparent injuries! They're still finding ordnance all over that island. In fact they report that bones and skulls are still showing up through the sand on the beaches. We saw a few bones but it was hard to tell if they were animal or . . . otherwise. We saw the tank hung up on the coral . . . pretty strange to see jet skiers whipping around it on 21st century recreation machines . . . weird! While in Okinawa my son took a side trip with our guide and a few Marines to investigate some newly discovered caves and there were med packs and unused ammo still in there! And a grenade that they were careful not to disturb! My Dad is 80 years old now and we are returning to Saipan in November (for our second trip in three years.) We want to find the beach where he retrieved the Marines on that day. We will be traveling with the Valor Tours group. I would like to get as much information about the Saipan campaign as it relates to my father's experiences as a history that we can pass down. Please, any information on the events of the Saipan campaign would be greatly appreciated. Thanks to the Bill Hoover also for his info. Do you think it is possible that he was taken to the beach by the 773rd . . . possibly aboard Lulu Belle, B-23? Please let me know what I have to do to contact others who may have been with him during this time. Thank you again . . . so very much. It's great to see the spark in the old soldier's eyes when he recounts his experiences. To me . . . it's priceless. God bless them all! Note to readers: If you know anything about Corporal Iradi or the landings, please contact the editor. Click here or on the link at the bottom of the page! Re SAIPAN/Tom Iradi . . . your Dad indeed had to be on the same beach. It is entirely possible that I was a passenger on his Amtrac. Because of the reefs, we had to transfer from the LCVP's into the Amtracs at the reef. From that moment on, we were under artillery fire from shore. I remember clearly hitting the beach and seeing a round land about 200 yards away. The next round came closer. We moved down the beach and into the concealment of the trees but we were obviously being observed as the incoming fire was very accurate. I also remember picking through and brushing aside scraps of metal as we lay face down in the foxholes or craters. There was a lot of military gear left in those caves. It was mostly gear that we did not want to haul around with us and never had a chance to go back and retrieve. It's hard to believe that it is now a super tourist spot! What's the connection between Kilroy and Rosie? At first, I apologize my poor English. I am a Japanese living in Tokyo. I am much fond of the U.S., and have been interested in American culture. So, I have frequently visited the U.S. Now, I have a plan to write a delightful and interesting book about the U.S. In this book, I want to introduce about "Kilroy was here" in one chapter. So, I have eagerly investigated about this item. However, for the life of me, I can't resolve an question. So, I want to ask you about this question. I am sure that you know "Rosie The Riveter" as a symbol of working female during World War in the U.S. Although many ideas about the identity of Kilroy have been presented, the most popular idea is that Kilroy was a riveter. I am surprised that symbolic American male and female during the World War had the same job. Is there any relationship between "Kilroy Was Here" and "Rosie the riveter"? I would very appreciate receiving your reply. Thank you Dr. Mukai, it is good to hear from you again! Your English is great and a lot better than my Japanese. As far as I know, there is no connection between Kilroy and Rosie. Actually, the most accepted legend of how Kilroy started was that he was an a inspector of riveting (See "Legends"). It is not too surprising that riveting comes up so often because everything from the Golden Gate Bridge to the Empire State building to thousands of ships were put together with rivets in those days. It was a dirty, hot, dangerous job that required a lot of upper body strength which probably explains why Rosie, doing a very tough "man's job," became a symbol of women doing their bit for the war effort. I will put your question on Kilroy Was Here. Maybe some of my readers will have some more information that might be of some help. I am looking forward to your book. If Kilroy Was Here can be of further help, let me know. What's the truth about . . . ? According to Keith O'Brien in an article in the "THE VOICE" of the Retired Enlisted Association, a publication for the Total Force, August 2000 Tokyo Rose was "The radio personality that never existed. They called her Tokyo Rose -- a temptress of the vilest kind . . . (who) never actually existed. She is a myth first spawned by US servicemen. " A federal jury convicted her of treason and sentenced her to ten years in prison in 1949. According to O'Brien, In 1977, in his last official act as president,Gerald R. Ford pardoned her,ending the story but not the legend of TOKYO ROSE. What is the true story of Tokyo Rose? Note to readers: If you have any first hand knowledge about Tokyo Rose, please contact the editor. Click here or on the link at the bottom of the page! Bill, There is so much revisionist history going on these days . . . witness the current treatment of the dropping of the atomic bombs and the internment of Japanese and Japanese Americans. There is also so much misinformation on the internet that it is hard to determine the truth. The truth, however, is out there -- in the memories of the readers and contributors to Kilroy Was Here. Readers, tell us of your knowledge of Tokyo Rose! or wounded. It was kept quiet in the States, but was called "the second Pearl Harbor Attack." I don't know if it was really Tokyo Rose, but someone sure as hell said they were, and had some pretty good information. Reference the alleged myth of Tokyo Rose. I personally heard her broadcasts at least a dozen times. She referred to herself as "Orphan Anne." I believe the Tokyo Rose name was created by her listeners. She often opened her broadcasts with "Hello to all my boneheads in the Pacific". As I recall, she would often identify the units (regiment or battalion) by name and make her comments directly to them. One of her favorite lines was "Where do you think your wives or girlfriends are tonight while you are in a foxhole?" She tried to emulate a disk jockey routine by allegedly playing music requests. She often played Glenn Miller and other big band music. She would often referred to casualties by name and unit. I have no idea whether that information was valid. We took what she said very lightly considering what she was trying to do. Whatever her name, she existed and somehow was able to play all the latest popular music. I would like to locate any relative or any fiiend of ROBERT HUDGINS (maybe Hutchins) who was a Marine Corps officer (Major?) in the SW Pacific Theater in WWII. I do not know if he survived the war, but do know that he married an Australian girl named Fay(e) who came to the US in the spring of 1944. Please contact me if you know anything at all about him. Note to readers: If you know or knew this veteran, please contact the editor. Click here or on the link at the bottom of the page! Hi Pat . . . Don't know if this is the guy or not . . . we had a Major Harry Hutchins in the 4th Marine Division. He was the Division Naval Gunfire Officer. He was a very distinctive individual . . . spoke with a British accent I thought. (could have been Australian) He was known as "Half Track Harry" as he operated from a halftrack vehicle with a BC610 radio (very powerful). I don't remember seeing him after Saipan/Tinian. I have no recollection of him on Iwo Jima so he could have been transferred. His unit would have been Headquarters Battalion, 4th Marine Division. The 4th Marine Division has a reunion scheduled for the end of August in Washington,DC and there would probably be people there who would remember him. Its at the Marriott, Pennsylvania Ave. & 14th Street. Inf. Regiment, 31st Div. that cover the campaign on Mindanao,P.I. from 4-28-45 to 12-15-45. I am President of the 124th Inf. Regt'l. Assoc. We have a 124th museum in the FNG 2/124 Armory in Orlando ,Fl and need the Journals for inclusion there. If anyone has knowledge of any of these accounts please click below. Note to readers: If you have or know of any of these documents, please contact the editor. Click here or on the link at the bottom of the page! Please post a search for Albert Powell Battle, Sgt. USMC. Last known station; El Toro, California. Home of record; somewhere in Ohio. Spouse: deceased 1953, buried at Punch Bowl National Cemetery, Honolulu, Hawaii. If living, would be about 80 years old. If deceased, I would like to locate his next of kin. My husband has looked over the years for Thomas Sobieski who flew with him in the 15th Air Force, 461 group during WW II. Tom Sobieski was a captain and a pilot of a B-24. The time was 1944-1945. They were stationed in Fogia, Italy. Tom was from Hamtrammack, MI. He'd be in his mid 70s now. My husband, Roy, was a second lieutenant and a co-pilot of the B-24. .Any information would be greatly appreciated. Note to readers: If you knew this veteran, please contact the editor. Click here or on the link at the bottom of the page! I was googling my father's name the other day, Tom Sobieski, and I found the following "search" on your website. I think my grandfather might be the Tom Sobieski that Laura Philips was seeking. If she is still interested in finding him, she can contact me. I am Lisa Sobieski. Daughter of Thomas J. Sobieski III and granddaughter of Thomas J. Sobieski II. Thanks! Lisa, the message to Laura bounced. As feared, she has changed her address and didn't tell me. I will post your letter as a possible find and maybe she will see it and contact us. I'm a modeler and want to do a historically accurate model of an Avenger of flight 19 (the Lost Patrol). I found on the web a lot of details, but it rest some questions with no answer. You will be very friendly and help me a lot if you want to answer me. - I think they were TBM-3, it this right? - What was the color scheme, three color scheme or glossy sea blue? - Did they were some unit insignia? Please forgive my poor English grammar, I thank you a lot. If you can help, I will be the happiest Frenchie you know. Your English grammar sure beats my French. I admire your multilingual abilities. OK, Fabrice, I will make one Frenchie happy. We have what may be the world's best air museum, library and archives here in Pensacola, The National Museum of Naval Aviation. I spent some time out there and, with the help of Ken Snyder, found your answers. I will also be in Ft. Lauderdale later this month and will try again to find an actual photograph of one of the TBMs. The answer is too large for this page so click below to read what I found. By the way, You can make this Yank happy if you will pass my site on to any person you know who is old enough to have been in WWII. I would love stories to add to the site from the viewpoint of the French. It can be Free French, Vichi French, the very courageous French underground or even a story or two from someone who endured the occupation. Note to readers: If you have any more information on Flight 19, please contact the editor. Click here or on the link at the bottom of the page! I have searched for a good friend of mine since 1947 when we were in college together in Cisco, Texas. His name is Melvin Stokes. Melvin was rather closed mouth about his war-time experiences in those days but he went through some of the heaviest battles as the war was winding down. As I recall, he mentioned Iwo Jima and Okinawa. Before that, in 1944, we both graduated from Sunset High school in Dallas Texas As soon as we graduated from high school, Melvin went into the Marine Corps and I into the Army Air Corps. Melvin would be in his middle 70's by now and lived in or around Dallas for some years after 1947. I was his best man when he married Dolores. I would appreciate any help that might be forthcoming. One day a gaggle of P-38s arrived, the island not secured, the pilots were informed to post a watch during the night. Being tired, they fell asleep without posting the guard. The next day, they were all found with their throats cut. I'm sure there are more horrible stories than that, as 4300 GIs were killed in the first 26 days of fighting. 2-19-45 3-16-45. My Father was T-5 CECIL G. MERCER. If anyone knew him, I would like to learn more about my Dad and his company. We never lived together and now he is deceased. My name is Pat Merris and today, 11/19/05, I visited my dad who was on Iwo Jima in '45 to get info on his time there for a story I want to write of his WW2 experiences. On Oct 15, 1945 he was on a C-47 flying from Iwo to Saipan that crashed and he was one of five survivors out of 17 and spent 36 hours in the water before rescue. He had told me a story of a group of pilot's killed in their tent not far from his. He was with the 20th AAF and worked on P-38's. When I got home, I was doing research and came onto your site. I read all of the search requests and came on the Mercer letter. I know the incidents are the same. He told me how just to get water you went with a 5-man team because the Japanese would come in to steal water and rations. I would be glad to pass on any other info to the Mercer family. Great site! P.S. I have eight brothers and two sisters and we were all in the military. With the years my dad spent in WW2 we have a combined total of 105 years military service. Five of us are Vietnam era vets. Pat, sadly Butch's (Walter C. Mercer) address has changed and he hasn't kept me up to date. I will put your letter in as a "Found." Maybe he will respond. By the way, thank your Dad for me and thanks to your whole family for your services to our country! I would love to read your story when finished. Note to Walter Cecil Mercer, his family or friends: If you see this, please contact the editor. Click here or on the link at the bottom of the page! Is there anyone out there who served with JAMES MARTIN HARPER, Jr., USMC, in WWII? He was my uncle and was killed in the invasion of the New Georgia Islands in 1943. I have obtained, and read, the official Marine Corps version of his death which differs from what the family was told at the time. He Enlisted in the US MARINE CORPS 16 June 1937 in Washington, D.C. The last two years of duty were served on the USS Mississippi at Pearl Harbor. He was discharged 22 July 1941. After World War II was declared he re-enlisted 9 February 1942 and was assigned to the Amphibian Tractor Battalion at Dunedin, Florida. He was later transferred to New River, North Carolina and then sent to San Diego, California. He later sailed from San Diego on the SS Lurline on 18 April 1943. 4 July 1943 his official Marine Corps record states "emb. Abd. USS McCalla at Guadalcanal, SI and sailed therefrom. 5 Jul 43 landed on enemy territory New Georgia BSI." He was in the First Marine Raider Battalion, First Marine Raider Regiment. His official records list a conflict regarding his date of death. One states 9 July 1943, killed in action at Enogai Point, New Georgia, BSI. However, his death certificate furnished by the Marines states he was injured 9 July 1943; and lists his date and time of death as 0630 hours, 10 July 1943. It further states "sustained injury in action against an organized enemy, from enemy sniper fire. Principal cause of death: fracture compound, femur, left." His death has raised many questions in the family. The official cause of death does not agree with what the family was told at the time. As noted above, two different dates were given for his death. Is there anyone who has first hand knowledge of this battle and who, perhaps, knew this Marine? Any information you can give on this would be greatly appreciated by the family. I would appreciate any first-hand information that anyone may have. Note to readers: If you remember, please contact the editor. Click here or on the link at the bottom of the page! My brother Melton was in Co. D of the 786th Tank Battalion. I wonder if there are any surviving members of that unit out there. It seems that you have a very visible web site. By the way, I have heard that it was a fairly common accident that killed Melton. I don't understand it. Do you have any idea how in cleaning the machine gun on a tank one could be killed? It has always been a mystery to me. Gerald, I'm sure some of my readers can field strip that machine gun blindfolded. Hopefully one will explain it to us. Why did the U.S. Government transfer $900,000 from the U.S. Treasury to General MacArthur's personal bank account in or around 1942? This turns up as a footnote in several books. We would like to know more about this. but  that's probably because she is a conservative. Anyhow JEAN MARIE MACARTHUR, the wife of General-of-the-Army DOUGLAS MACARTHUR turned 101 years of age on 28 December 1999. The persons who asked about all the money sent to the MacArthur bank account by the U. S. Treasury at the beginning of the war may want to ask Mrs MacArthur about it. picture from "American Caesar"by William Mabchester. Taken in the late 30s. Note: Mrs MacArthur passed away on January 24, 2000. Click here to read her obituary originally printed in the New York Times. 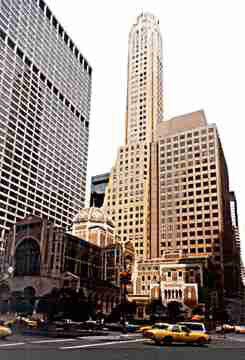 MacArthurs Suite 37A (p663)*, a $133.00 per day suite, for $450.00 per month (p679)*. MacArthur died not too long afterward. I suspect the Management never dreamed that Mrs MacArthur would live forever. Even so, it was a bargain for them. b] One submarine, the Seawolf, brought in 37 tons of amunition. MacArthur considered loading the Philippine gold and silver on it for its return trip, but decided to send army and navy aviators instead. He told them that they were worth more than their "weight in gold" to the future of the war effort (p244)* The bullion sent out on the Trout was carried as ballast (p244)*. c] During the months the MacArthurs were on Corregidor five submarines made seven safe voyages to the them (p244)*. One of the high points of their stay there was departure of the submarine Trout with 20 tons of gold and silver belonging to Philippine government. The rest was dumped into the bay. (p228). *Page numbers refer to pages in the book American Caesar, Douglas MacArthur, 1880-1964 by William Manchester who earned his credentials in the Pacific War. He left the Marine Corps at the end of WWII with 100 percent disability from wounds suffered in battle. After three years of reseach he changed his opinion of MacArthur from that of a conceited commander to that ofan "American Caesar." There is also a link there to The Douglas MacArther Foundation. Meanwhile, I'll put your question on my site as a letter. Someone will know. I'll let you know when it's posted. Note to readers: If you know, please contact the editor. Click here or on the link at the bottom of the page! Hi Pat.......I remember it was said that the President of the Phillipines gave MacArthur that amount in gold which supposedly represented wages owed to MacArthur. I have read this in several different books. Can you help me find anything on the web about the 73rd Heavy Tank Division, 8th Army during the Korean War. My dad was in that division and I'l like to do something for him. He's quite old and won't be around much longer. He was there from 1950 thru 1951. First look down at the letter below from Mark about his father in the same outfit at the same time! Just click on the blue line in this sentence to jump directly there. Sounds like you two have a lot in common! http://www.kwp.org/html/units/73tnk.htm This jumps directly to letters like yours from vets of 73rd Tank Division. Note to readers: If you have any other information about the 73rd Heavy Tank Division, please contact the editor. Click here or on the link at the bottom of the page! You were asking for information on the 73d Heavy Tank Battalion during 1950 thru 1951. My Father was in country at the same time and in the same unit. If it would help, you may contact me. I would be more than happy to help you if I can. Also put you or your Father in touch with my Dad. "You don't know it, yet, but you have just joined the largest fraternity in the world." This was said to my jump school class the day of our graduation and I'll be damned if he wasn't right. I spent four years in the 3/504 82nd Airborne Div. and now am compiling a book for OUR BROTHERHOOD. Paratroopers. I would appreciate ANYONE no matter what nationality, to send me jump stories, combat, humorous yadda yadda yadda. Quotes, anything pertaining to AIRBORNE. And if possible pictures would be a great help as well. If you'd like to send anything snail mail feel free, Scott Maynard 302 N. Pierce Amarillo, TX 79107. Thanks to all of you....Keep your feet and knees together! I have always been so proud of my Dad as well as everyone who sacrificed themselves for us. I just finished reading "Band of Brothers" by Steven Ambrose (which I highly recommend), and can picture my father going through the battles and challenges that E Company went through in that book. There are so many stories and heroes from that war; I just wish I could hear from some of my Father's buddies. I appreciate your help on this. Even if I never hear a word because of this, I appreciate being able to tell someone about my Father. Thank You! I am looking at my Dad's Discharge certificate. His name is Rollin E. Boettcher, he was Infantry. His grade was a "TEC 5" which I really don't know the meaning. Dad was with HQ CO 142nd INF. The battles and campaigns were "Naples, Foggia, Rome, Arno, So France, Rhineland and Central Europe." 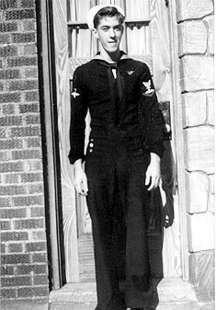 He arrived in the ETO on September 2, 1943, and left for the States an November 3, 1945. He was awarded a Good Conduct medal, Victory medal for European African Middle Eastern Theater, a Ribbon w/one Silver Battle Star, Bronze Service Arrowhead and four Overseas Service Bars. I would love to know what all the medals were for and what he had to have done to be awarded them. Thank you very much for your time. Just being able to tell some one about my Father keeps him alive in my mind and the thought of talking or corresponding with his buddies would be one of the high points in my life. I have no information on Rollin Boettcher, but I share your last name. It is not a common last name. You may check out my father, Donald E. Boettcher under awon.org/ Go to the "our fathers" page and scroll down. Click on his name and you will get his story. Note to readers: If you know this veteran, please contact the editor. Click here or on the link at the bottom of the page!